Home » Our Doctors » Tiffany Corby, O.D. 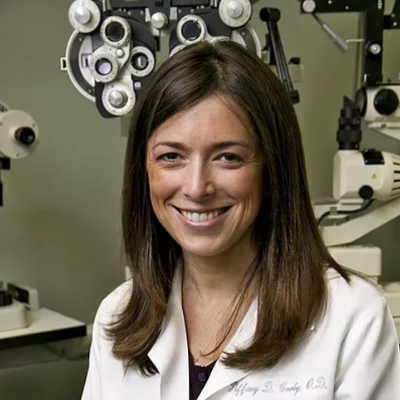 Dr. Corby completed her doctoral training at the University of California Berkeley School of Optometry in 2002 and has been practicing in Santa Barbara ever since. She has volunteered and organized several philanthropic eye care health and science fairs in the community and with VOSH (Volunteer Optometric Services for Humanity). Dr. Corby provides family eye care, ocular disease treatment, infant and children eye exams, specialty contact lens fittings and vision therapy. Dr. Corby stays current with her training and has recently become a board certified Diplomate with the American Board of Optometry. In her leisure, she enjoys spending quality time with her family and loves being a mom to her three children.